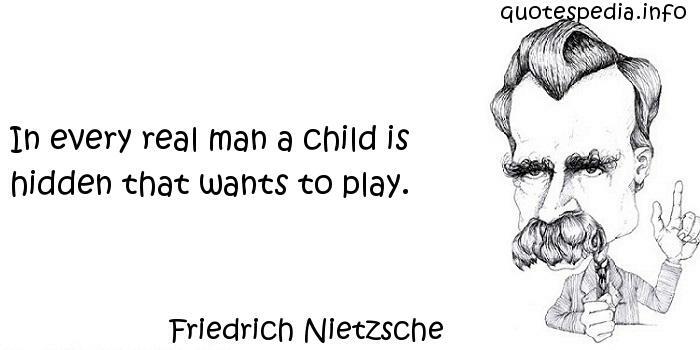 In every real man a child is hidden that wants to play. When I was kidnapped, my parents snapped into action. They rented out my room. There are perhaps no days of our childhood we lived so fully as those we spent with a favorite book. Crowded classrooms and half-day sessions are a tragic waste of our greatest national resource - the minds of our children. To endure is the first thing that a child ought to learn, and that which he will have the most need to know. Everybody wants to be somebody; nobody wants to grow. For truly it is to be noted, that children's plays are not sports, and should be deemed as their most serious actions.